So I don’t know if I’m too different to the rest of functioning society, but I feel like I get an awful lot of song lyrics stuck on repeat. They go around and around in my mind, until sometimes I think I’ll burst if I don’t hear the song immediately. Can anybody else relate to this? Know what I’m talking about? (Please) Anyone? I’ve blogged before about Frozen lyrics burning their mark on (or is it in) those neural pathways through my brain. Grimace and I usually share a joke about going insane to either of the following The Wiggles tunes: Apples and Bananas (I know this is a cover and not the original, but my mind INSISTS on singing it in Emma’s tone) or Do The Propeller. I’m intentionally not linking you to these songs…if you don’t know them, DO NOT SEEK THEM OUT. They will not leave you alone. There, I’ve warned you. If I’m lucky enough, I sometimes get songs I actually like stuck up in the old thinker… like this week. I’ve been doing a little reminiscing about songs from my later teenage years after seeing The Living End a few weekends back. 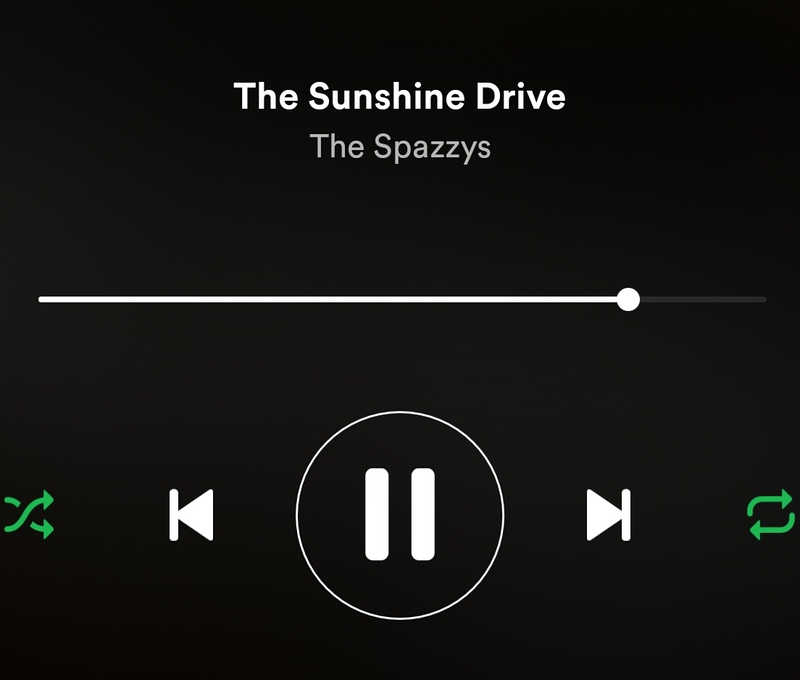 One reminiscing session on Spotify led to another and I’ve eventually ended up listening to Melbourne’s fantastically pop-punk band The Spazzys (I wish these awesome gals recorded more). In particular, their song Paco Doesn’t Love Me. Great catchy song, especially when all you can remember is “Paco doesn’t love me!” followed by my own lame imitation of the guitar riff. I saw The Spazzy’s once or twice, and was always a fan of their obviously-Ramones influenced pop-punk. I always had a good time listening to their music (live or just on lame CD). In fact, if my memory serves me correctly, Grimace and I saw them in the very early days of dates-ville. Anyway, here’s to 1990/2000’s pop punk for opening up my eyes, ears and heart to music! Heading back to where all this reminiscing started, The Living End’s sold out show (Sat 11th June 2016, The Enmore Theatre) was brilliant – played all of their major songs since their Prisoner Of Society/Second Solution EP (to this day, still one of the best releases I own) plus some of the tracks from their new release Shift. So good to see a double-bass danced with like that! Check out a few youtube clips from the show – Second Solution and Prisoner of Society. Credit to “Steve-O” for the videos. I was blissfully rocking out, taking in the energetic set with some new and some long-time friends (take note, I didn’t use the term Old 《bruce, I’m looking at you》) when I had what I can only describe as a minor panic attack. It wasn’t in any way shape or form an overly dramatic event – I was fine; if I didn’t say anything, no one would have known. After acknowledging the anxiety and legitimatising/assessing the risk likelihood, I calmed down and was able to relax back into the show. (The panic that set in was all around thoughts of crazy people recreating scenes from the tragic events that occurred at Paris’ Bataclan). As I’m not drinking booze at the moment (story for another blog. Stay tuned), I felt clear headed enough to discuss the feelings I had experienced after the show. I’m such a lucky gal to have people in my life who happily listened and chatted at the pub about why those feelings had surfaced…I’m sure most other people would have laughed at me! I mean, let’s be honest – I was doing a child/work free activity, why the hell were those anxieties coming to the fore? It was an interesting experience to have, and one I hope not to replicate too much. It probably indicates the changes my life has seen over the 4+ years, and the responsibilities that come with creating a family. I think the reminiscing from music/times passed, coupled with the general mother-anxiety about future success for the kidlets sent my mind in to overkill. It’s made one thing absolutely clear in my mind though…I would dearly love to share a love of live music with Giggles Magoo and Little Mate… hopefully Giggles Magoo’s proud attestation of “loving punk music too” and Little Mate’s bum dance to The Spazzys are steps in the right direction. A dear friend celebrated his birthday over the weekend, and while I couldn’t be there to pass on my best wishes in person, I took great delight in listening to some music in his honour (for reasons that will never be known or indeed questioned, both Giggles Magoo and Little Mate had a looong Saturday afternoon sleep, together no less. It was adorable overload). So when I found myself in the middle of a gigantic child-free cook-off, I was delighted to crank the tunes (to that level whereby you feel rebellious, but not crossing that unknown line that would disturb the sleepy two) and dedicate them to the birthday friend and all those fun moments we have shared over the years. More specifically, I was playing The Waifs and reminiscing about my love of Australian music particularly from the late nineties through the early-thousands. The Waifs lead singer has just the right amount of Australian twang, telling stories that strike a chord with me now, and way back when I resembled my youth. Musically, they make my toes (and heart) dance. Eventually Little Mate woke up and I found myself in mummy-heaven dancing around the living room with him. As life moves on, I am finding that I am unable to be close by for more and more of my loved ones celebrations (as we all know, life can never stay the same) so I’ve made the decision to celebrate my loved ones if the moment allows – eg. I purchased a beautiful bunch of flowers for my little sister’s birthday and displayed them proudly in my house (she is currently living the dream and slowly making her way around Australia with her fellow. Check out her blog or on Instagram here and here. They are taking some photos that I have no doubt will be published one day). I was sure to let her know the beauties were in her honour. We also purchased a few cupcakes and devoured then in dedication to my big bro and his birthday a few weeks back. It’s really fun to do…and you don’t miss out on celebrating. I’m seriously questioning my FOMO. 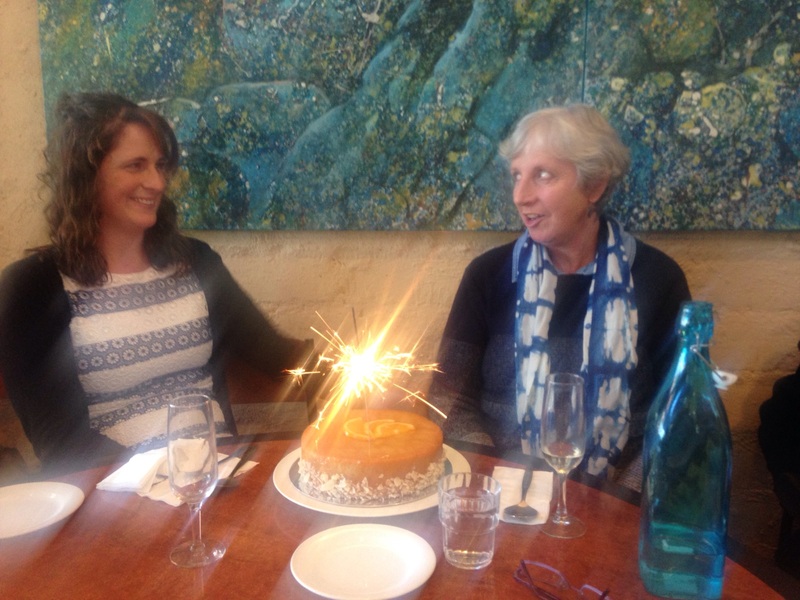 But then, there are always the celebrations I am present for…like, my own dear mother’s 60th birthday celebrations. Happy Birthday Mum! This lady is such an inspiration to me and I am forever thankful to witness her as a grandmother. 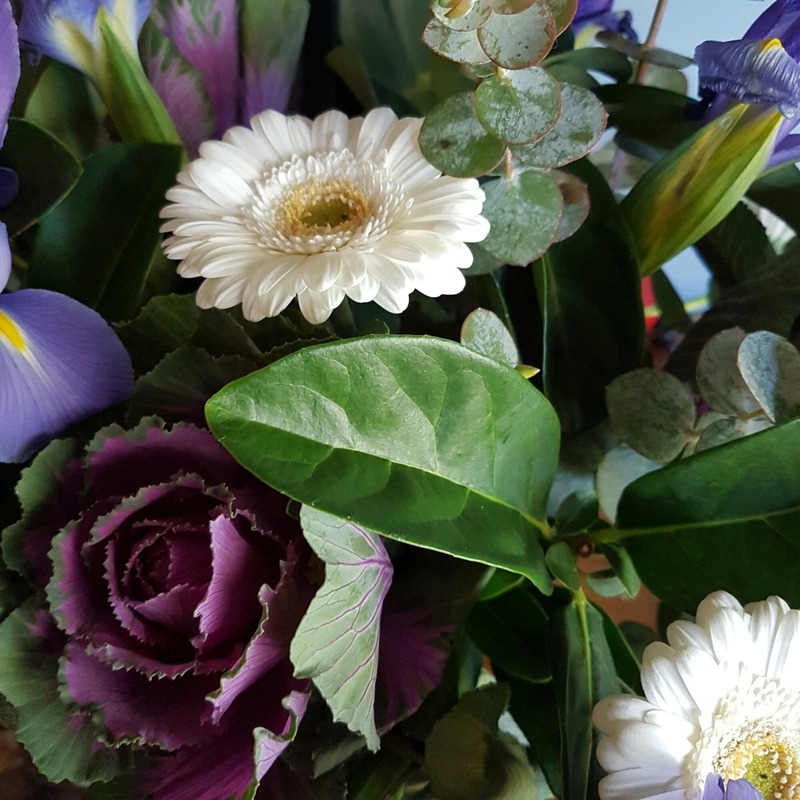 I have these memories from growing up – rainy weekend afternoons spent pottering about with mum in the kitchen and the music cranked – I suppose my Saturday afternoon was in a way celebrating mum and those memories too. The title of this blog post could be my current anthem for life (always said with a smile). I’m really loving this blog outlet; being able to tell my story. But, I’m finding it really difficult to find space to write the words I want to. Please, if you could be patient with me, my life will open right back up after a certain date in July and I will bring Theverymoodyhousehold back to the fore. But don’t worry, I’m working on getting all aspects of me balanced so I can find the words. 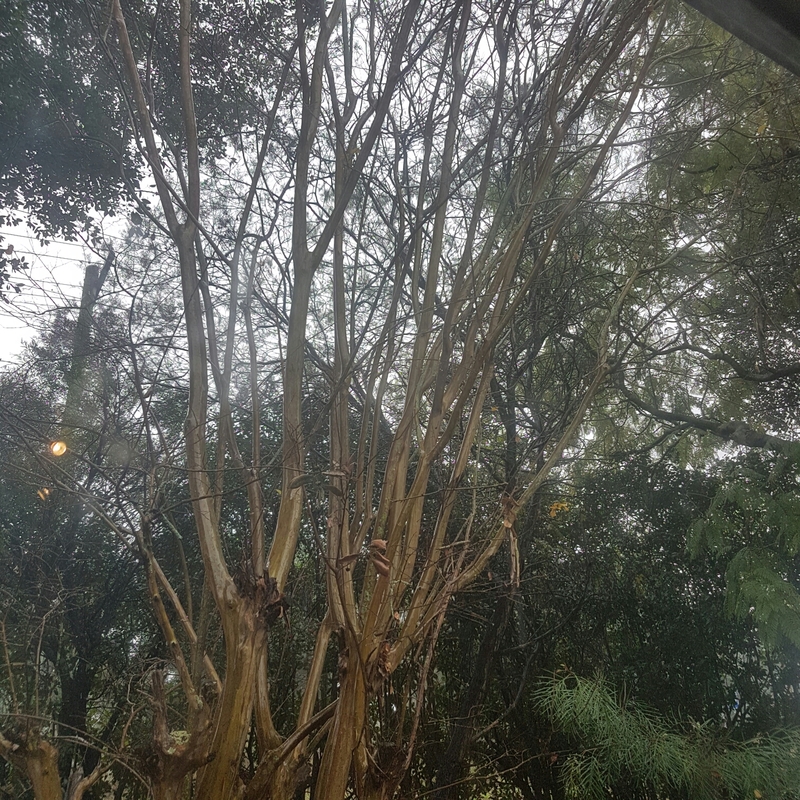 On Tuesday when it started raining, a friend at work lamented not being at home under a blanket to watch it fall from the sky. I’m just as content to listen to the drops fall; listen to cars driving past with the water splashing all around. Well, what do you know – I’ve been laid up in bed (under a blanket) since Thursday with some awful winter lurgy – aches and pains all over, agony to swallow, ears are full of pain and it’s pretty tough to move my head due to the golf ball size of those glands in the neck. Fun times. 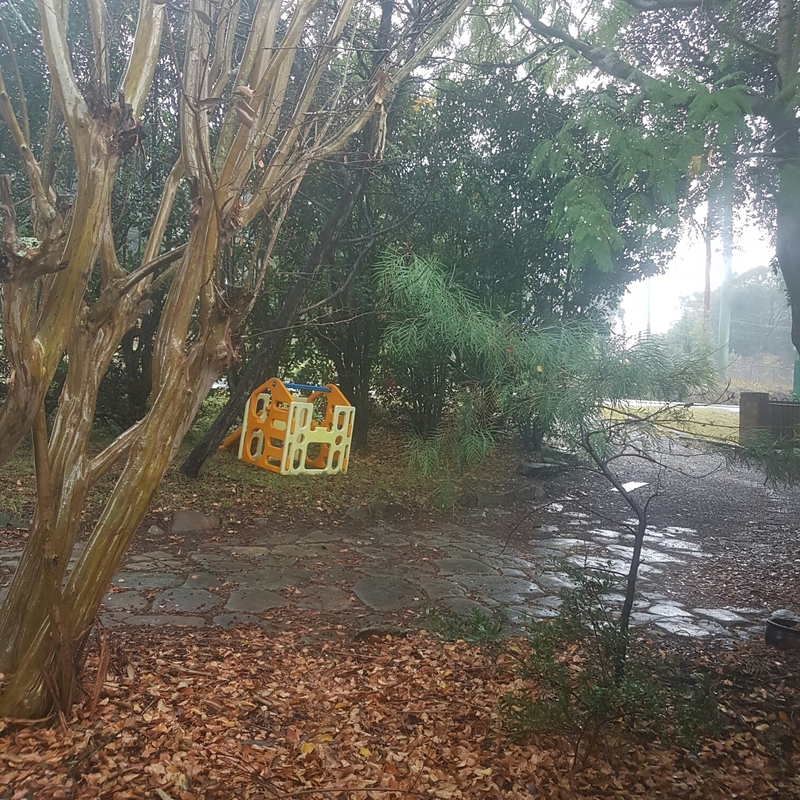 But, when the rain started again on Friday afternoon, I was very grateful for the opportunity to have nothing to do but listen to those drops fall. I’ve been doing a whole lot of listening whilst in bed actually. 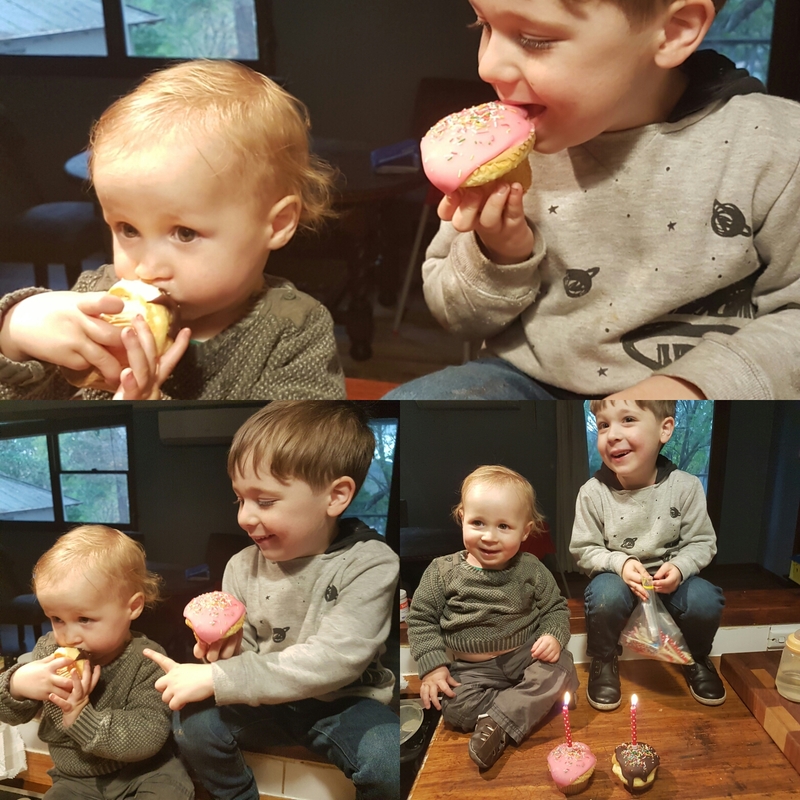 It has been a treat to listen to my two boys giggle and play with Grimace (Friday) and their Gra (Saturday); I’ve rediscovered the magic that a four year old’s imagination presents, and the cheeky nature of a one year old. By not directly being apart of the days happenings, I could just watch, listen and take them in. 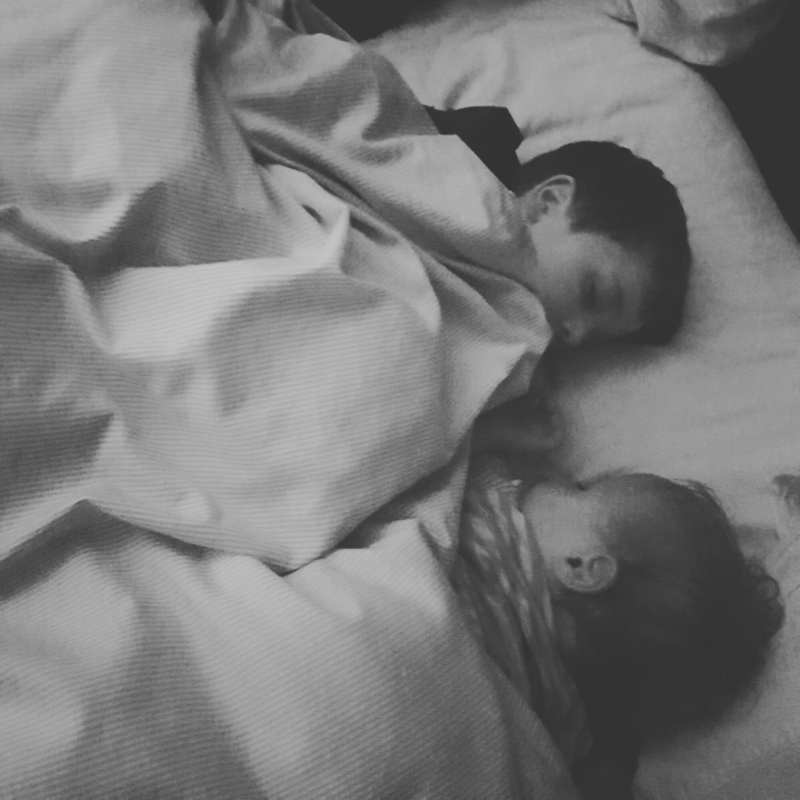 It struck me how quickly they are both growing, and how I can do more to cherish them in the now. Little Mate had a taste of freedom yesterday and started practicing his best walking skills – I’m quite sure he would have continued his “sneaky” walking and demanding my helpful hand for a lot longer – without me around, he used the opportunity to practice his best walking skills so that when I was around, he could cheekily show off. I think I’m in trouble now! 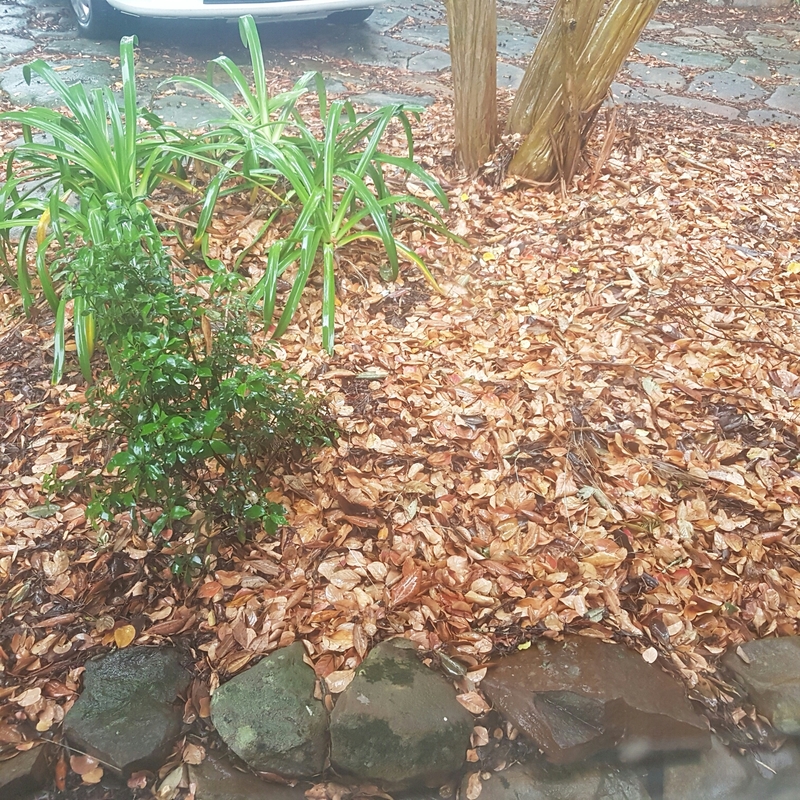 I’m going to continue my recovery, snuggled up under my blanket, watching the rain fall and listen to those cars speeding by, churning water out their tyres.